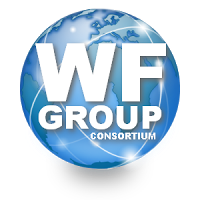 The World Franchising Group (WFG) is international consortium project, founded by the European Association for Business Development (EABD) and the European Bureau for Business Development (EBBD) international consulting company. The consortium operates from 2007, as an effective instrument for business development in Europe and through all the Eurasia space. The World Franchising Group — is a special project tailored for franchise-based business development. It is a project to boost development of both starter and mature franchises. The World Franchising Group — is the integrated informational portal, presenting the maximum of franchise market related information. The World Franchising Group — is the encyclopedia of franchising. The World Franchising Group — is the full directory of all franchisors, allowing for free access to the information. The World Franchising Group — is a platform, designed for client self-placement of their franchises on a free basis, using unique FRANCHISE SUPERMSRKET interface, which is the only free of charge world franchise catalog. The World Franchising Group — is not involved in politics, and is neither one of market competition parties, because it does not earn any membership fees, or other regular payments. The World Franchising Group — operates at the expense of the consortium’s founders, through charitable support and donations of franchising market participants and advertising. Systematization of knowledge on the global franchise market. Creation of a common information space for professional market players (associations, consulting, legal, media, financial and other companies), franchise buyers and sellers, investors, students and teachers. Providing equal opportunities for young and promising franchise’s promotion. Presentation of all relevant professional participants of the franchise market in the provision of services to franchisees, franchisors, investors, academic and scientific bodies. Promotion of contemporary franchising technologies for development of small and medium-sized businesses (SMEs). Formation of fast-paced and accessible market for franchise startups. Providing equal opportunities for young and experienced franchisees to promote their brands and ideas. Creation of a integrated academic and scientific site for the world of franchising. For franchisors: To attract interest of small and medium-sized businesses to the franchising market. Make franchise a popular business tool for young and growing companies. For franchisees and investors: To promote franchising as a business tool for beginning entrepreneurs and interested investors, by the means of creating an integrated global directory of franchises — Franchise Supermarket. For franchisors: Create affordable conditions for promotion of their all level franchises by the means of free self-placement of franchisor information about their franchises at the integrated franchising information portal — World Franchising Group, and at the worldwide directory of franchises — Franchise Supermarket. For franchisees: Gather together and constantly update all the fragmented information on franchise market for its presentation to investors and potential franchisees, to franchisors and professional market participants on the free of charge basis. World Franchising Group, Edinburgh, United Kingdom. Powered by Blogger.